I love your choice! Valentine’s Day is a holiday I’ve always been fairly meh about. This is one of the first years in a while my husband and I are even exchanging gifts and I’m finally excited about it and glass half full too :) Wishing you a happy day! What a lovey dessert! And beautiful photos. I’m not a big valentines person other then for yummy treats. So I think you have it right! Much better idea with the second option and sharing this dessert with us. Love adding rosewater and this done in the hearts is perfect! Beautiful photos! Beautiful photos of an amazing dessert!!! YUM! I’ll have what you’re making! Lovely photos and perfect elegance for Valentines Day. The rosewater addition is what did it for me. Rosewater is also a lovely addition to white cake. These are cute :) Such a pretty shade of red, too. I love simple and beautiful desserts :) Great job! 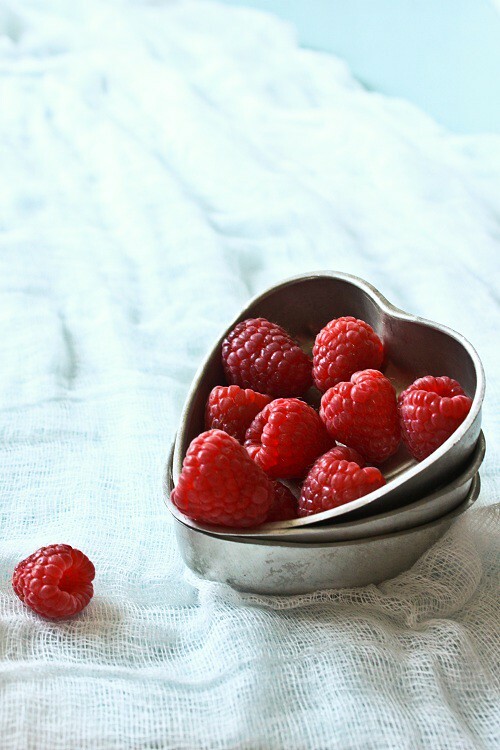 This is genius…love the color and the symbolism of this treat, perfect for Valentines. It is simple but has to be prepared with caution and the right ingredients. Just like what love is, basically why we celebrate Valentine’s Day…Let us celebrate love. Must try this! Such a pretty dessert. And I love rosewater in panna cotta. Perfectly lovely. That’s such a beautiful dessert, so elegant! 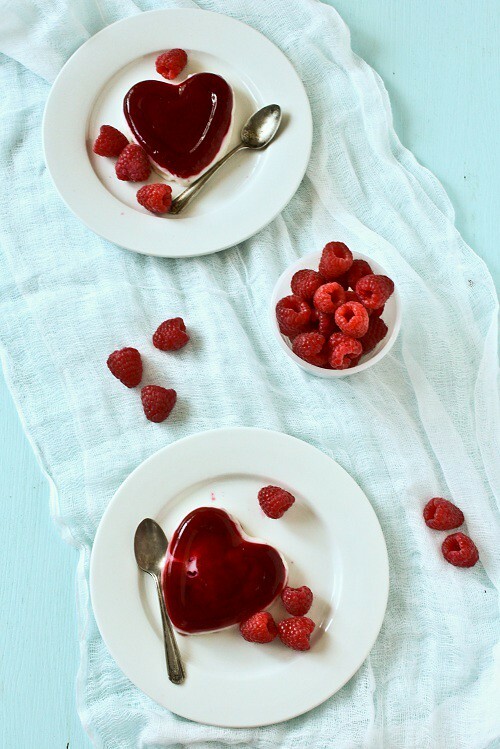 You chose right, with the heart-shaped desserts. V-day is such a weird holiday and not really worthy of making yourself upset over. But these panna cotta are just delish! I’ve never made Panna Cotta. This looks delicious and I’ll have to try it out! 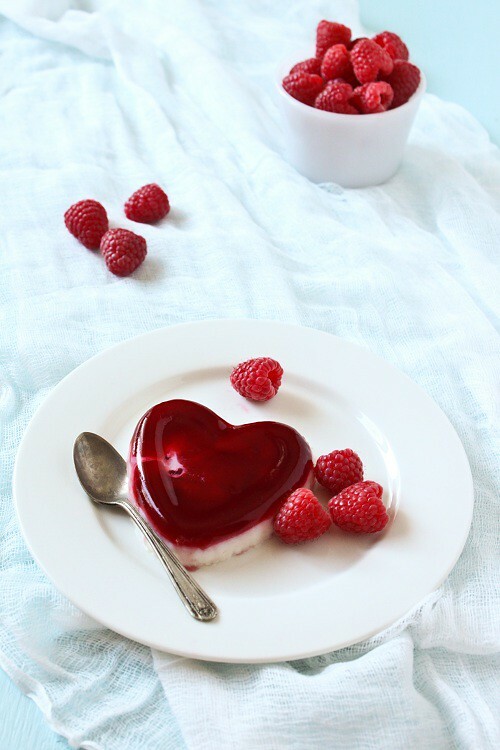 I definitely would have chosen heart shaped desserts too =) This looks incredible! bt I’hv never made panna cotta …..looking so delicious………..
I’ve had trouble making panna cotta recently. I’ll have to try this recipe! Lovely photos! Beautiful, but would love to know the finished qty. or size of the molds & qty.